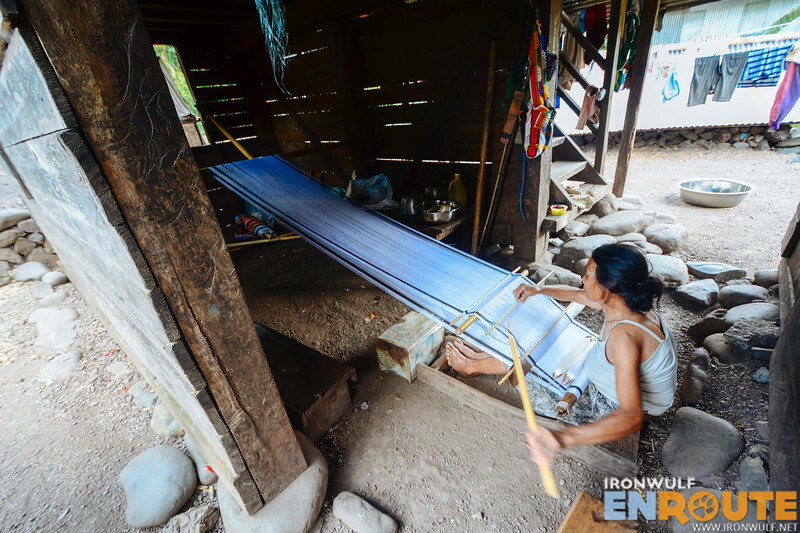 Our close encounters with Nanay Catalina and Auntie Benita in Caneo gave us first-hand information about Caneo Weaving. An impressive craft that also deserves some spotlight among the many weavings in the highlands. The village itself is intriguing. 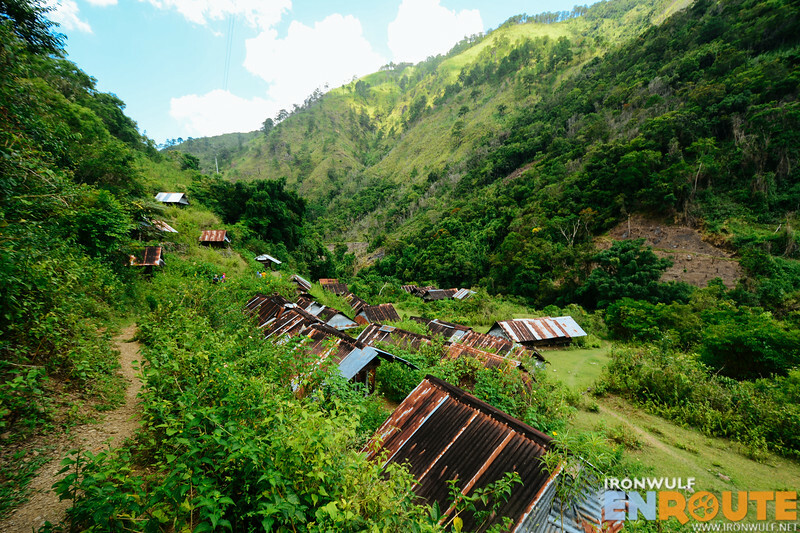 The rice terraces is not as expansive as other villages since a large portion of their livelihood comes from weaving. 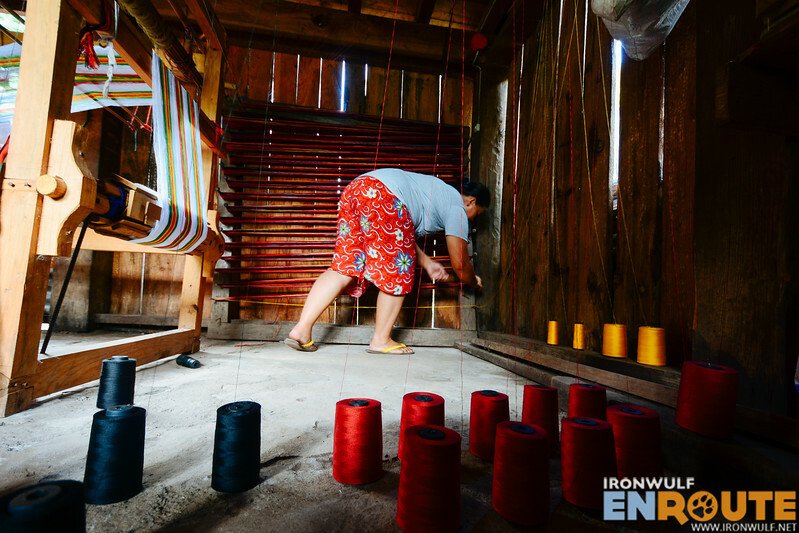 Its remoteness sitting in a valley and its age-old weaving tradition adds to its charm. 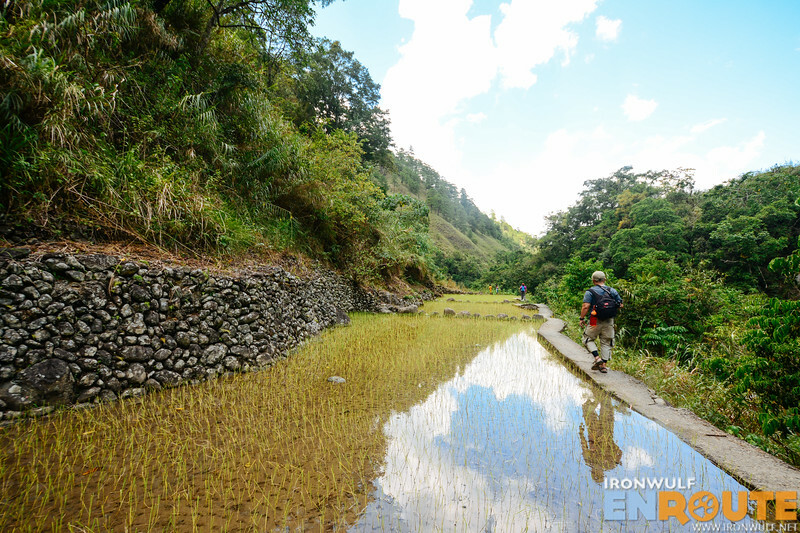 As we hike to exit the village, we saw the many rice granaries orderly extending out to follow the trail along the river. We had three teenage boys to help guide us on the trail out of the village. We sure am glad Suzzette was with us as she could easily speak in their native tongue. 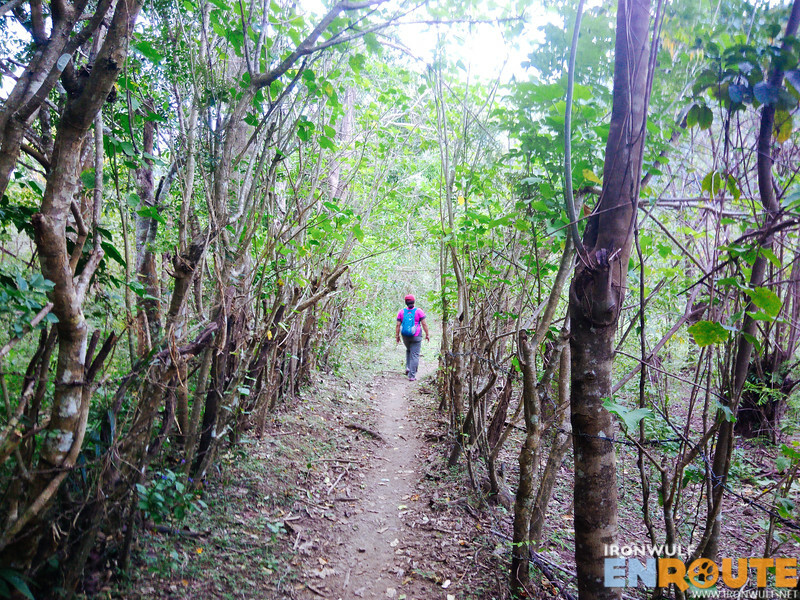 The trail follows what they call Ping-ew River which is also part of the Talubin River. Local runners frequent this trail spanning at least 5km. The initial part of the trail descends low and close to the rushing river and its rocky riverbed. The river sure looks cool and refreshing. If we weren’t pressed for time, it would have been fun to swim in its clear light turquoise waters. We told the boys to go back at their village after reaching a waiting shed. We wouldn’t want their parents looking for them and worry. From here on, we were on our own to continue down the Caneo to Tocucan Trail. Slowly, we found ourselves ascending from the river up to a high point on the hill. 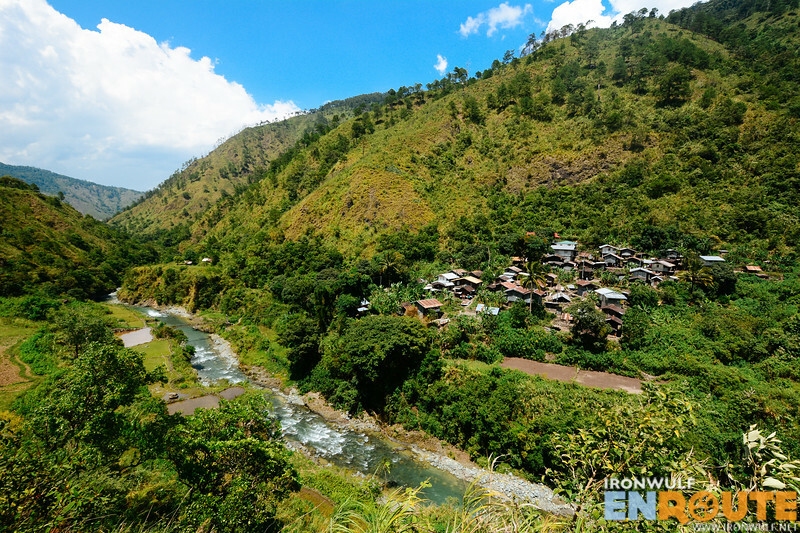 It was a pleasant hike reminiscent of the Batad to Bangaan trail which I also enjoyed. The trail hugs the along the low mountain side with the river a constant companion on our right. Shortly, we saw the small Chapyosen Village on the opposite side of the river and a group of kids playfully jumping and swimming afar. We had lunch at the trail as it was past mud-day already. We had sweet potato given to us by Lola Catalina and a few of our trail bars for nourishment before continuing on. We didn’t really plan on entering the village but seeing that eye-catching waterfalls beside it was too tempting not to go. 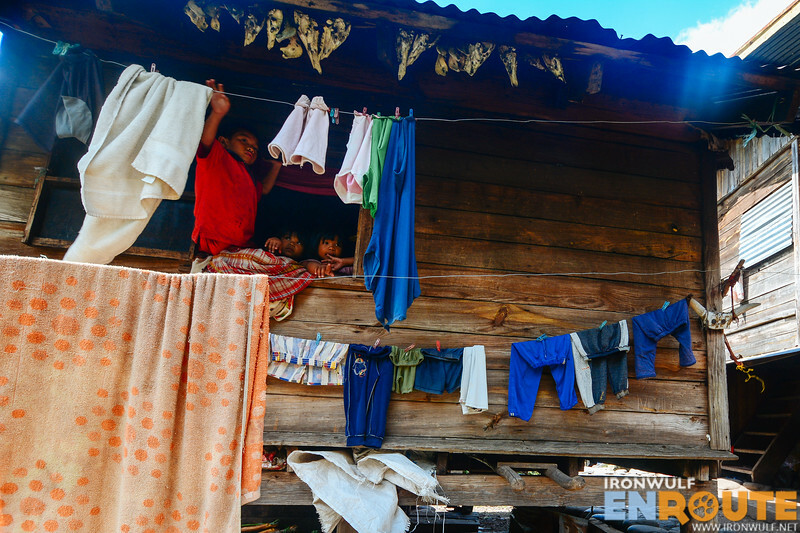 We decided to take a look at Chapyosen which is still a sitio of Caneo. Loom and backstrap weavers were plenty here too. Curious children looking through their windows. 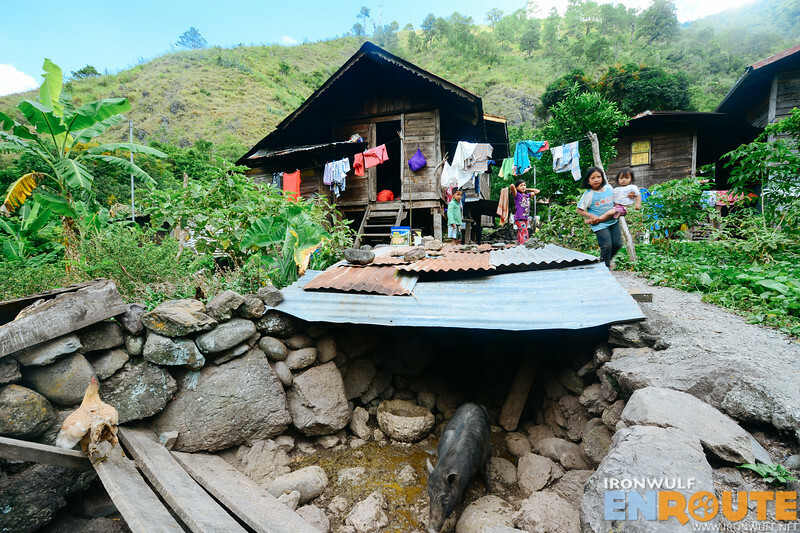 As with any native houses, animal bones hang below houses side by side with their looms. 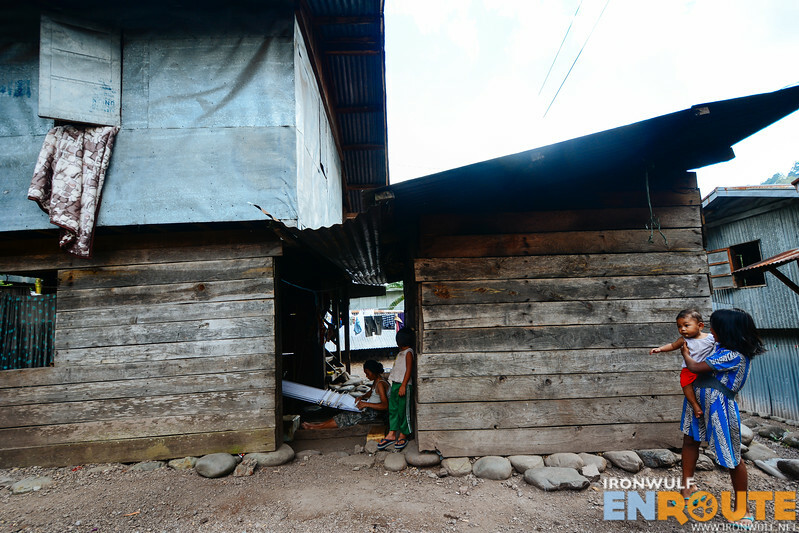 Locals use the open basements or the side of their houses for doing backstrap weaving. I was surprised with a Canadian foreigner there who was renting one of the houses for his vacation as the place is so remote. We visited some of the houses and talked to the weavers. They were real friendly and I like the good atmosphere of the village. After having conversed with the locals, we visited the falls which is just at the upper right side of the village. 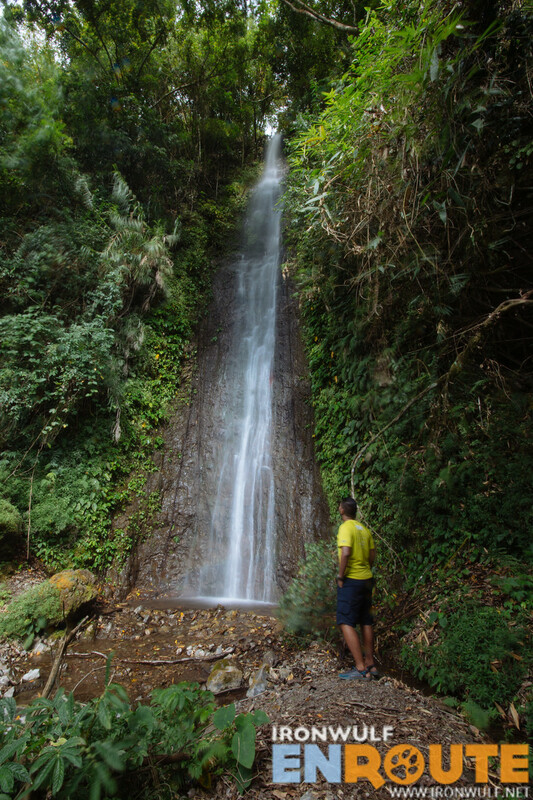 They call it Arawi Falls. We’re estimating it to be about 50–60 feet high. It’s a shower type of falls with no basin. It may also be one of the village’s water source. 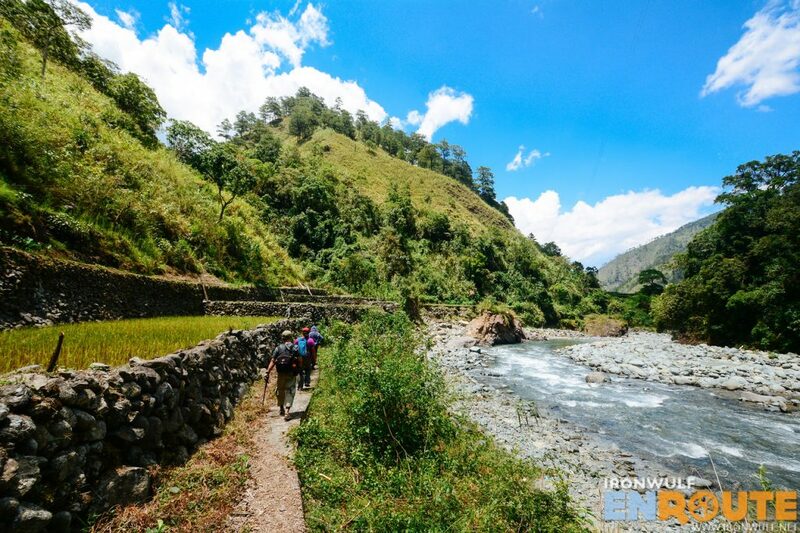 We didn’t stay long as we had to catch the last ride back to Bontoc from Tocucan. We got a little lost moving on from Chapyosen that we almost wanted to wear our clothes from the inside already. I think we went around the trail more than three times. We calmed down and collected ourselves and managed to find the right way. The trail was way past the school heading north. We found ourselves entering a low forest trail. It was a relief that we kept crossing paths with several locals. They were individuals, groups and even families with young ones. 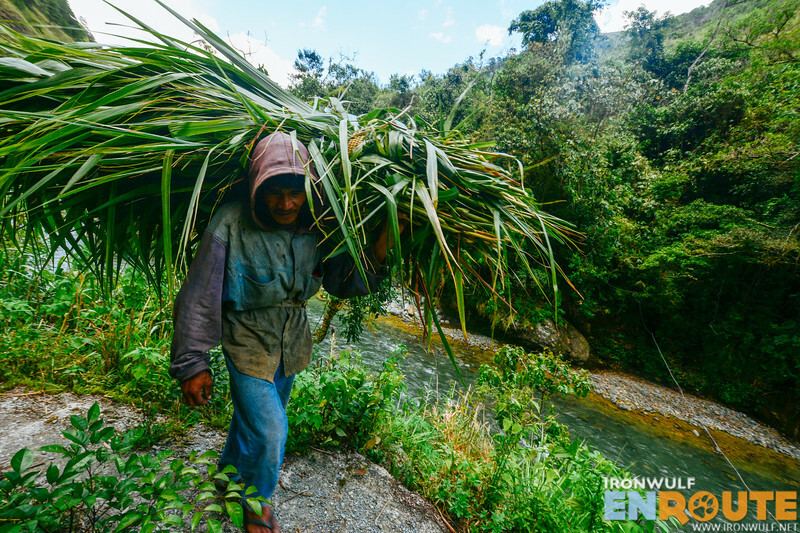 Judging by some the baggage they were carrying, they came from Tocucan and are on their way to Sitio Chapyosen or farther to Sitio Fabfey, Caneo where we met the other weavers. We often asked how long until we reach Tocucan and we get different replies — from 30 minutes, two hours to over an hour. My estimation was over an hour basing from my maps and our pace. I just admire the perseverance of this people to hike to their remote villages just to go home. There was no other way. 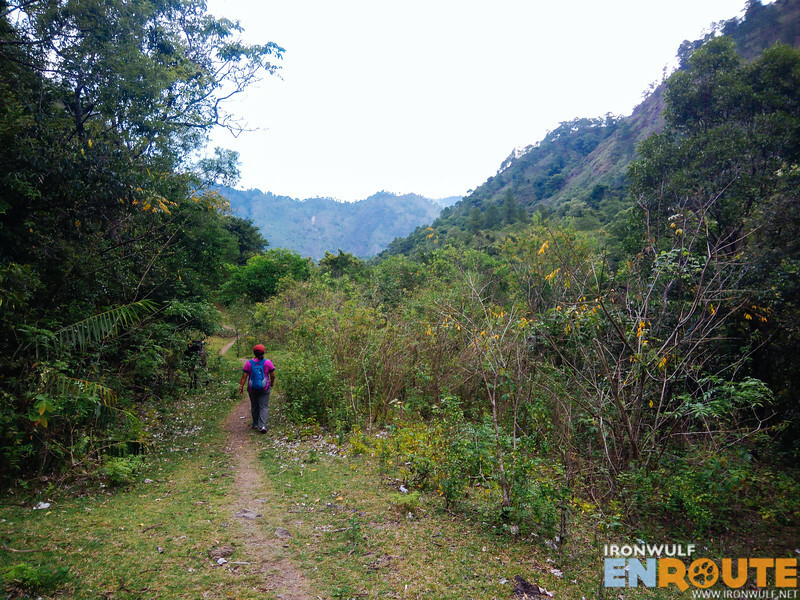 The hike at the Caneo to Tocucan Trail offered a lot of scenery at easy to moderate difficulty. What disappointed me were the numerous trash on the trail. Obviously from locals having their rest stops and just throwing their trash as they leave. 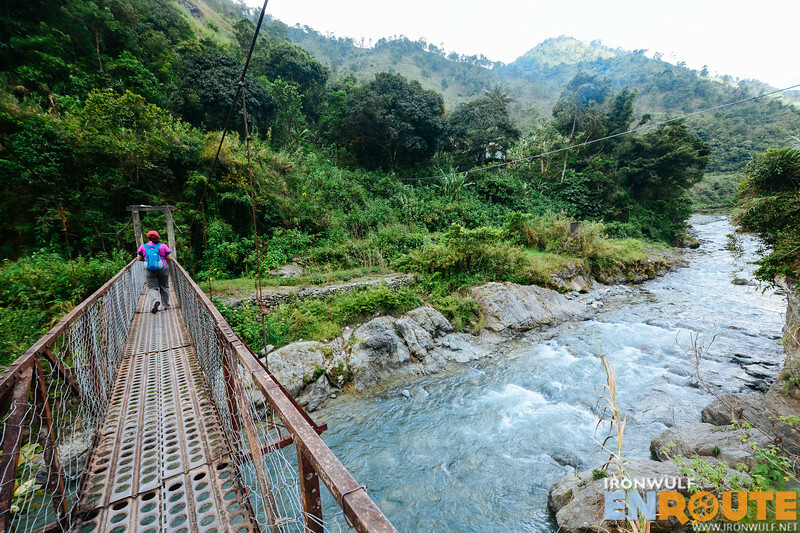 If the LGU can do something to develop this trail, it has a potential to lure more tourist in the area. Finally after more than 5 hours on the trail with side trips, we reached Tocucan Village. 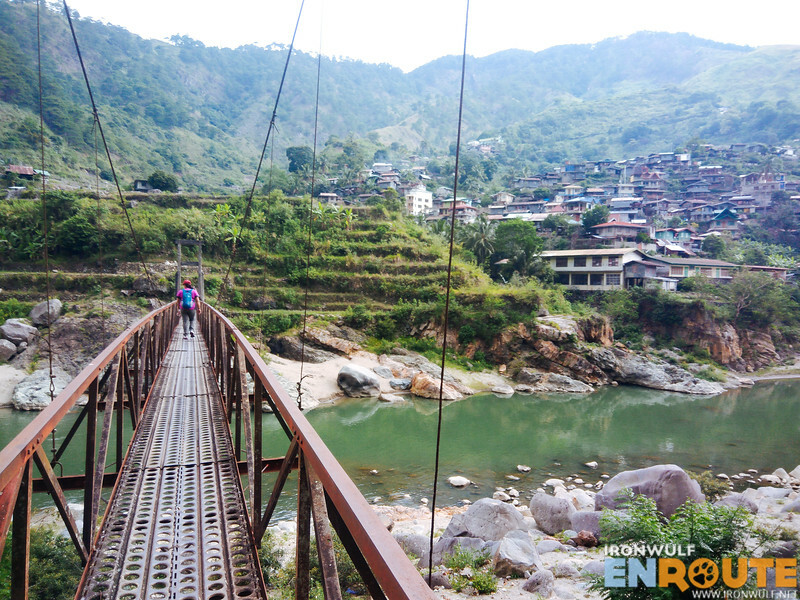 We crossed the deep and still emerald-colored Chico River via a hanging bridge. Entered the village and passed through its local basketball gym to find refreshment and some snacks at the first store we saw. A squall caught us on the road but lucky for us, we also caught the last jeep heading towards Bontoc town proper. Riding 5km to town and the rain abating, we also caught the last jeep to Maligcong. Oh what a way to spend the day.